State of the Small Press Nation – Is the Small Press Comics Audience Too Narrow and Self-Defined? How Do We Build a Wider Readership? Is the audience for small press comics too narrow and self-defined? 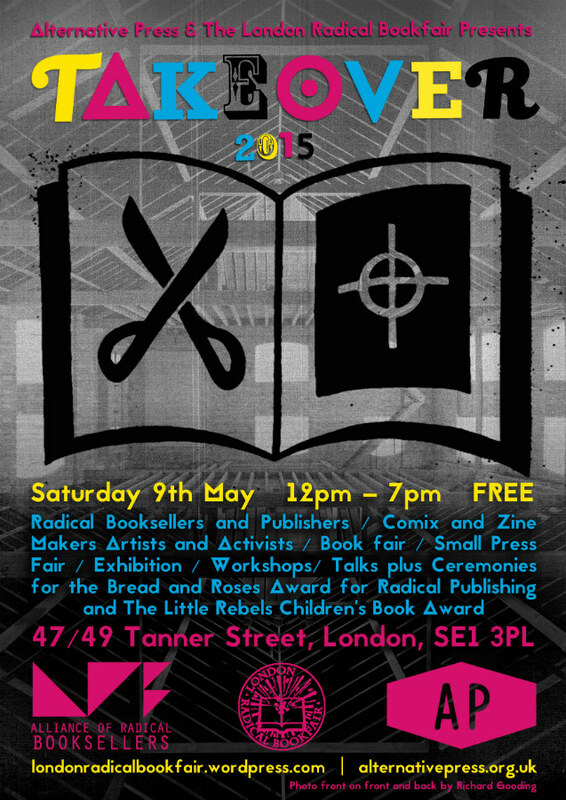 Do we need more events like the Crouch End Comic Art Festival (CECAF), the Alternative Press Takeover, the East London Comics and Arts Festival (ELCAF), and others that proactively look to take comics to a newer readership? At the same time, is the importance of the smaller shows as an accessible entry point being forgotten ? Our ‘State of the Small Press Nation’ series returns today with its usual mix of indie comickers – including DIY enthusiasts, self-publishers and micropublishers – giving their views on how we can continue to expand the readership of small press work. This series of discussions on the British small press world began last December and was inspired by this blog post by Sean Azzopardi, long-time stalwart of British self-publishing. To date we have looked at the infrastructure of UK comics, the expanding number of small press shows and their impact on the creators involved, and whether the growth in SP creators is accelerating at a greater relative rate than the potential readers. Each article has been compiled as a starting point for further debate and all previous entries in the series can be read here. Alex Potts (A Quiet Disaster) concurs and points to that same familiarity of faces attending shows. “Yes yes yes, our audience is too narrow. I have been realising that it’s a small scene with the same people going to everything. We need to reach a new audience. I am sure that’s possible by having comics festivals in places that are other than the usual. I have been thinking that online comics might be the way forward, but I like print so much I am not sure if I’ll bother. 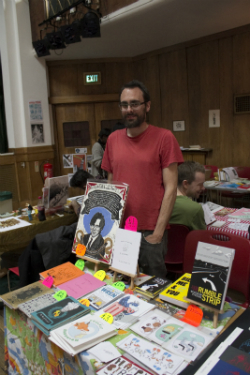 Avery Hill (right at the DIY Cultures fair, photo courtesy of Camila Barboza) are a micropublisher who have specialised in looking beyond just the traditional comics audience, with their AHArts line of zines and art-based publications running parallel to their comics output over the years. Avery Hill’s co-publisher David White is pragmatic about building up that diversity of readership but also hopeful for the future: “The obvious answer is the bigger and more diverse our audience is, the better. But like I say, that’s obvious. The tough bit is achieving it. 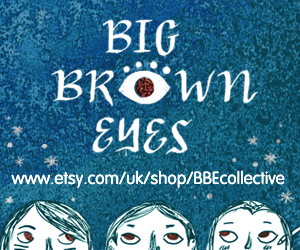 “I look upon events like CECAF, Alt Press and BCZF as an absolute godsend. I’ll start by qualifying that you still need to work out which ‘smaller’ shows work for you, but when you do, they can be just as valuable as the ‘bigger’ events, if not more so, especially when you’re starting out. We gained a lot of confidence, whilst at the same time learning a lot of lessons at smaller events early on, and we’ve met a lot of people who have become loyal and much valued customers at them. “What we can’t (and I’m sure we don’t) underestimate is the time and work that the organisers put into smaller events, or at least the successful ones. It’s a massive challenge to get an audience that doesn’t immediately book their hotel in Leeds the moment Thought Bubble dates are announced to firstly come to an event, and then get them to actually spend some money. The respect I have for the likes of Simon Moreton, Nick Soucek and their team putting on BCZF, or Sean Azzopardi putting on CECAF is off the scale. The more local, successful, smaller shows we can have the better as far as I’m concerned. Images from the Alternative Press Group Show at The Bird’s Nest pub in Deptford running until March 26th. 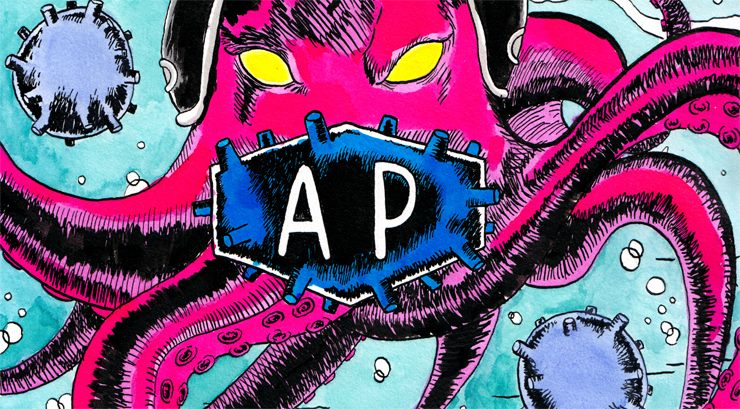 Although the AP’s remit is wider than just comics there has been a crossover element in both their exhibition and the Zine Fairs (next one March 22nd) they have held in the bar. Is this type of event a way forward in proactively taking comics to new audiences? 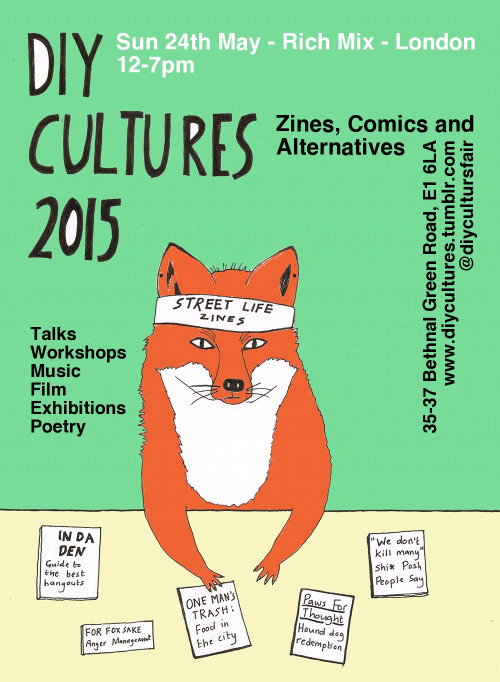 The DIY Cultures fair is another event with a vital crossover zine/comics audience where the emphasis is on the democratic nature of comics as an art form. 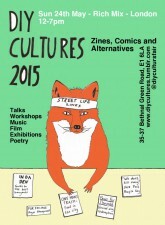 The next DIY Cultures is on Sunday 24th May. Details here. Gareth Brookes of The Black Project fame (left, at the International Alternative Press Fair, photo courtesy of Camila Barboza) is quick to emphasise the essential importance of the smaller shows and that their very adaptability in terms of the physical spaces they utilise can make them instantly far more accessible to the greater, non-comics buying public. Certainly Sean Azzopardi’s CECAF, and both the Alternative Press’s Pop-Up show last year and its recent pub-situated Mini Zine Fest last month, are excellent examples of events that effectively took comics into new locations. 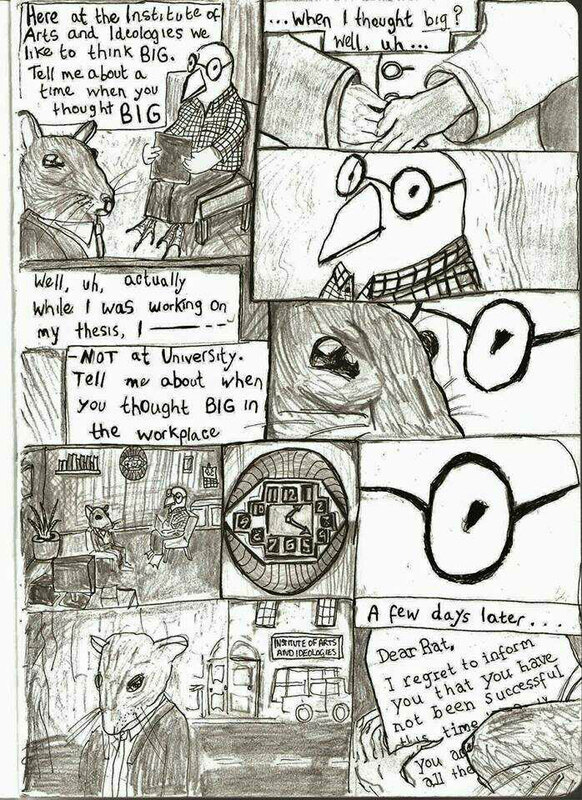 Brookes says “I think small shows need to happen, I don’t think you can have a healthy small press scene without small fairs, and I don’t think you can have a healthy comics industry without small press. Small fairs make a better entry point for creators just starting out and the general public. This last point is key, you don’t just wander into something like Thought Bubble, but if a small press fair is happening at the end of your street, or in the pub you drink in, and you wander in and buy say, a Comix Reader for £1, then that’s a gateway drug situation. Within a year you’ll be injecting Breakdown Press. “Digressing for a moment, I also think there’s too little awareness of what’s happening overseas, particularly in Europe. France is the third largest comic-buying nation in the world, and it’s on our doorstep. When I went to Angouleme in ’10, it took me about five minutes to realise that UK comics were a horrendous international embarrassment, and UK artists, particularly small press ones, were regarded as exotic, semi-mythological beings. Since then a lot has changed but on the international stage we’re still a D+/C-. “Until the comics reading public increases massively, and comics are taken seriously by the media, are taught in universities and get a fair share of arts funding, we’re never going to be up there with countries like Finland or Sweden. The only way to change things is at grass roots level. Mainstream media and governments plod after changes in public behaviour with all the ponderous velocity of a bunch of elephants following a herd of gazelles, they then retrospectively pretend that it was all their idea in the first place. “There’s no doubt that the quality of work being made has increased dramatically recently and you hear people saying things to the effect that this is a special time or a golden age for UK comics, and maybe that’s true. But it’s around twenty years ago now that the bottom fell out of a much larger UK comics boom, and comics in this country spent years in the dark. This could happen again. Easily. 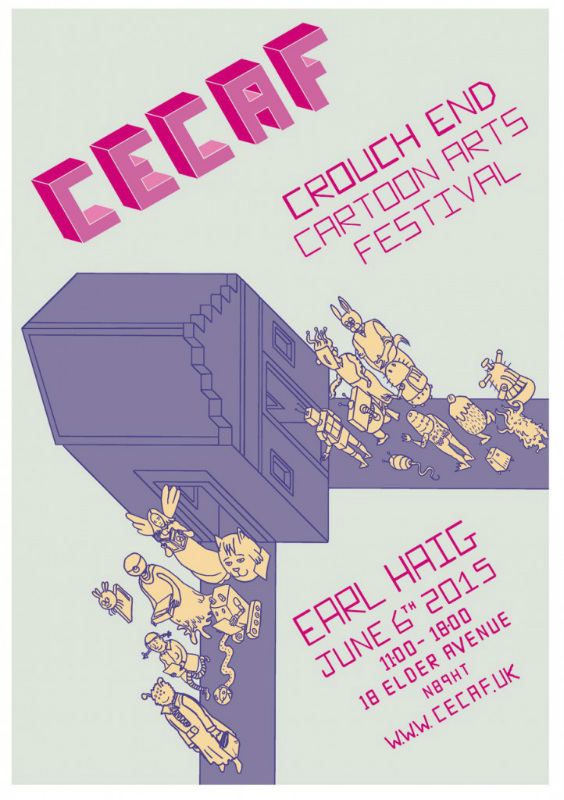 Sean Azzopardi’s CECAF has been universally lauded for taking comics out to a wider community. Photo courtesy of Dean Simons. 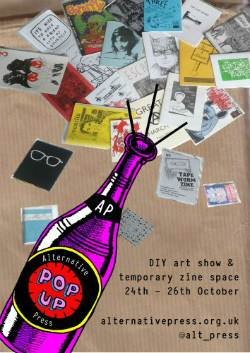 What do those creators newer to the UK small press shows scene think? What have their early impressions been? Paul Shinn (March of the Penguins) comments “I do think that what events like CECAF, the Alternative Press Takeover, and ELCAF do is very important in opening up the audience for comics, which can only be a good thing. Are the smaller shows being forgotten as an accessible entry point? Possibly. But they really shouldn’t be! Frances Carbines – you can read her comics online here at her Cafe Arguments tumblr and see an example of her work right – is another who argues that accessibility is paramount in attracting potential new recruits to the comics cause: “A ‘new reader’ myself, I was drawn in by inclusive and participatory comics events such as workshops and activity days. One that stood out was Alternative Press’s Pop-Up Show in October 2014 (below left), which they ran from their own home. “They set their basement up as a screenprinting studio, using kitchen tables and everyday equipment (such as B&Q outdoor security lights) to develop a print collage of all the attendees’ illustrations. At one point even bed slats were used as a flat surface for the screenprinting process. The message was that you don’t necessarily need to have a fancy studio with expensive equipment to make amazing comics – just the know-how and willingness to experiment. “Equally, Nobrow‘s zine making workshop at the V&A last year meant that people who’d come for the permanent displays and hadn’t necessarily come across comics and graphic novels before were able to participate and get a taste for the medium. 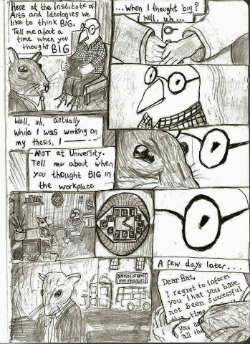 Cliodhna Lyons/Ztoical ( Sorry I Can’t Take Your Call at the Moment but I’m Off Saving the World) also provides some intriguing thoughts on taking small press comics to entirely different potential readerships by being individually proactive rather than theming entire shows around possible new audiences. “I find the audiences for ELCAF and the Alternative Press takeover as narrow/self-defined, if not more so, than an average comic show. Yes it might be a different readership to what attends the like of MCM but it’s also a very narrow readership that is looking for a very set aesthetic/style so is not really an option for creators if they don’t fit into that aesthetic. 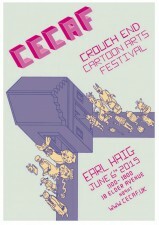 “CECAF is different as it’s a local show focusing very much on the local area without a set focus. If people do want to take their comics to a new readership they need to first not focus on making comics that only people who know/love comics are going to understand. Comics about food, travel, sci-fi, love/romance, fetishes, etc. all have other outlets. Taking a comic about, say, food to a food festival might involve more effort on the creators part but you’re not competing with other comics and can have access to a whole new readership who haven’t considered reading a comic before. Examples I’ve seen include a comic about James Joyce at the annual Bloomsday festival in Dublin, fetish-themed comics at the London fetish fair, and drag-queen themed comics at gay pride and drag nights. 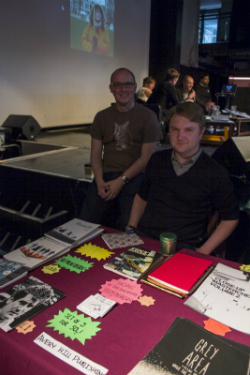 Alternative Press events embrace all areas of self-publishing. Above Rebecca Bagley, oft-featured in ‘Small Pressganged’ including an interview here, selling her comics at the International Alternative Press Fair. Photo courtesy of Camila Barboza. If you have anything to say about the points raised by the creators/publishers in this discussion piece then please leave them in the Comments section below. 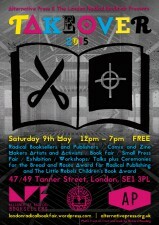 To read all previous entries in the ‘State of the Small Press Nation’ series to date click here. I agree so much with the last point…The Phoenix just kept coming back to me as I read through this article as a great great place to start with getting comics out to a wider audience. I think because its content is aimed at family and story-telling over style/niche, it is really reaching both kids and the parents who buy it for them. Also the magazine mixes written stories with comics, which is a great way to bridge that ‘gap’ that most people have in their heads between comics and novels. This gap is the reason I think alot of people dont buy or discover comics. They just have such a set idea in their head about what a comic is and that it only contains one genre, and isnt just another medium to tell a story. The more art-based small press fairs such as ELCAF are really good for bringing in audiences from an art background to comics, but I do agree with what someone said in the article, its still just creating another niche and not reaching a wide audience. The nice thing about those kind of shows and comics is that they’re helping to break a particular stereotype that comics arent a respectable format. 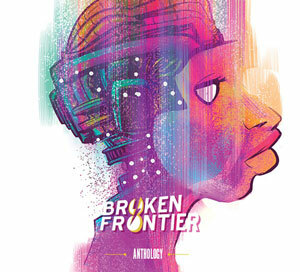 But presenting them as an experimental art form they are helping to encourage people to respect comics as an art form. BUT in doing this, its also at risk of still making comics that arent experimental/more story based still be seen as a medium that shouldnt be respected. The thing I really think is helping, and something that I want to see more newspapers do, is that the Independent reviews comics alongside other novels, and doesnt separate them into a different section. Just like in Phoenix mag, here is a great presentation of comics being on the same level as novels, and being presented as something that is accessible to everyone. In a perfect world, I would solve the problem of reaching a wider audience by making bookshops put comics in alongside books, instead of giving them their own section as if they’re a genre for a specific audience. It annoys me as well that within the comic section of bookshops, japanese comics are also separated into another ‘genre’. The idea suggested in the article about taking comics to events about the subject they're exploring would also work really well! 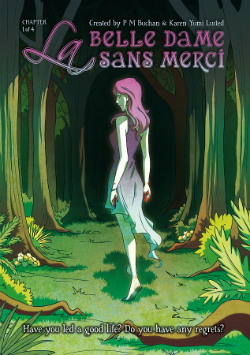 when I was 16 I made a (Really bad) webcomic adaptation of an opera…I shared the webcomic with Mozart fans. Most of them were much older then me and didnt know webcomics existed, but they really loved it and it made them consider what else was out there. …I think I've gone on a bit of a ramble XD Basically, small press shows have a part to play in helping bring to a wider audience, but I think its up to alot of other things too to make it happen. We need to change our culture in general in order to make it happen. I think bringing a wider range of comics to kids will be a BIG part in doing that. More workshops in schools and libraries would help, showing kids that comics all aspects of comics (from story telling to art to being fun to make and read).